Increasing the efficiency of each exhibition is associated with new organisational developments. These projects are aimed at maximizing fruitful cooperation between exhibitors and potential clients. 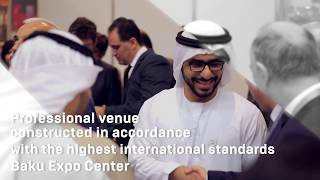 The websites of all exhibitors will feature a Visitor’s Account / Exhibitor’s Account allowing both parties access to more detailed information about the opportunities of the exhibition, products offered, business events during the exhibition, and to be informed in a timely manner of all the latest updates from the organisers.